This post contains affiliate links. When you click through and made a purchase, SewHere gets a commission at no cost to you. 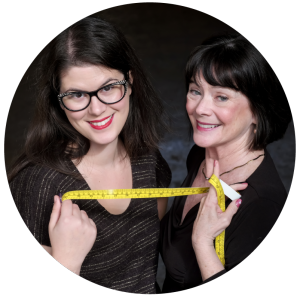 This blog post is based on your perfect leggings pattern using the Made to Measure Leggings Class. This class takes you through measuring, drafting, and constructing leggings made to your measurements. 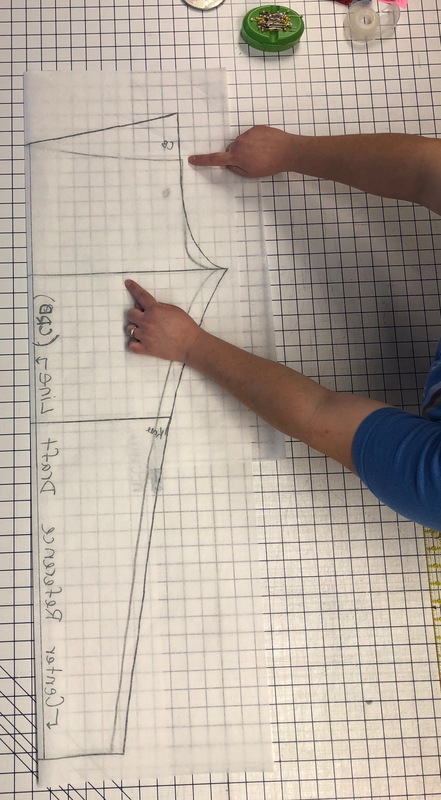 After you have your leggings sloper and pattern, finding the “side seam” is a starting point for all sorts of practical hacks and decorative/artistic elements! 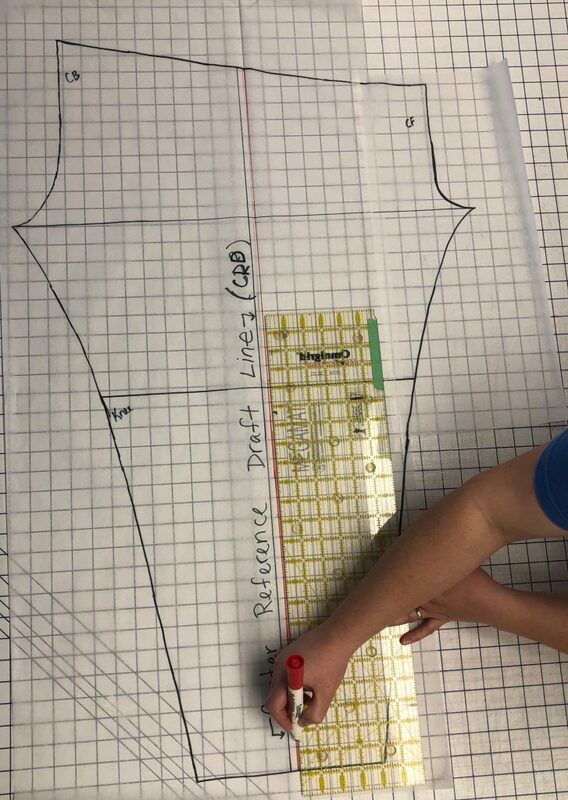 For this pattern mod, please make sure your pattern or sloper has the “Center Reference Drafting” (CRD) line and the Thigh and Knee lines easily visible. You can use the Leggings pattern that you use all the time, we won’t cut into it, we’ll just draw an extra line! Everyone’s pattern and Side Seam placement will look a little different, so don’t be discouraged if the reference photos look different from your pattern. All written instructions will apply to your pattern no matter what! Fold the pattern lengthwise (the fold will run from ankle to waistband) so that your Center Front and Center Back seams meet. The side seam line is different from your CRD line and the back of the legging will appear larger than the front. The side seam line may not be parallel to your CRD and may approach the CRD near the ankle. As you fold, the thigh and knee lines should lay “on top of themselves”- it’s easy to see this if your pattern has been traced onto translucent tracing paper. This first photo demonstrates incorrect folding. While the Center Front and Center Back lines do meet, the thigh and knee lines are not folded level on top of themselves. This photo demonstrates correct folding, the thigh and knee lines are levelly folded and the Center Front and Center Back lines meet. Your pattern will look different, because everyone has a different Front and Back Rise. Mark your side seam line by folding it crisply, or marking a few points on the line and connecting them. 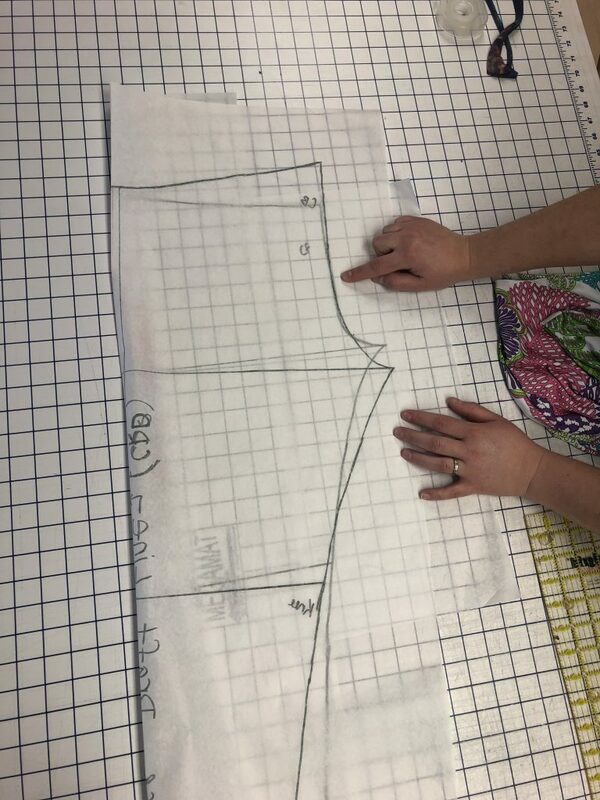 This is one, straight continuous line from waist to hem. We strongly recommend marking your Side Seam line in a different color than your CRD line. Depending on your body measurements, the Side Seam and CRD lines may be very close together or farther apart than the one in these photos. No matter what, the side seam line will fall closer to the Front of your leggings, making the back leg piece larger than the front. In this photo, the Side Seam is marked in red, and lands between the CRD and Front Center. 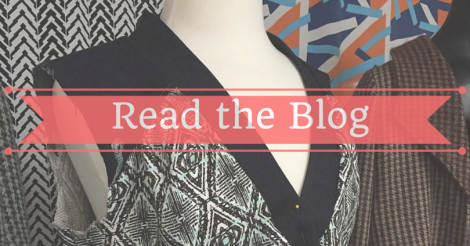 What Can You Do With a Side Seam? Knowing where your side seam is helps you make the M2M Joggers featured in the March 2018 Sew Long and Sew Happy Zine, and the stockings in the February 2019 Sew Long and Sew Happy Zine. If you’re a Backstitch or Zig Zag member, you have access to these patterns right now! The zines can also be purchased individually for $9.99. This side seam mod is also the starting point for some freaking awesome pockets that I’m working on! You can also jump right in to making a color blocked pair, either with an elastic waistband, or by incorporating your wide, power net waistband. Check out Zede’s “Harlequin” style leggings.